The People’s Bank of China (PBOC) is studying the prospect of issuing its own digital currency and is aiming to roll out a product as soon as possible, Bloomberg Business reports. 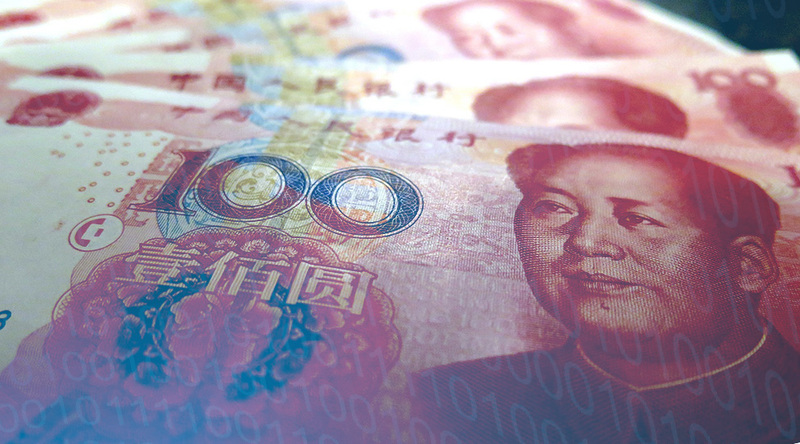 PBOC, China’s central bank, is persuaded that a state-backed digital currency could reduce capital outflow, money laundering and tax evasion, make economic activity more transparent and improve the efficiency of global transactions. The creation of China’s state digital currency was discussed at a meeting in Beijing, attended by digital fintech experts and high level authorities including PBOC Governor Zhou Xiaochuan and Deputy Governor Chair Fan Yifei. The PBOC’s official statement is in Chinese only, but Chinese speakers have confirmed that the automatic translation provided by Google is reasonably accurate and understandable. An estimated $843 billion of capital flowed out of China in the 11 months through November, according to a Bloomberg estimate, and capital outflow results in rising interest rates and economic slowdown. Foreign transactions in a digital currency based on blockchain technology would be permanently recorded in a tamper-proof blockchain and traceable back to the persons involved. However, it seems likely that, if the Chinese government introduces an official “ChinaCoin,” wealthy Chinese will just use other means to take capital out of the country, including next-generation privacy-preserving digital currencies like Zcash . According to the South China Morning Post article, a digital currency could be popular with Chinese consumers, as payments for goods and services are increasingly becoming digital with new applications and online players entering the potentially lucrative sector. “[A cryptocurrency] can be popular among the people [if] it’s endorsed by the government and convenient to use with new technologies,” said Zhang Weichao, director of mining at leading Chinese Bitcoin operator Huobi. Besides being useful as a means to control capital outflow, a state cryptocurrency would also allow China to challenge the hegemony of the U.S. dollar. “The U.S. dollar has the luxury of pricing everything, every commodity, in U.S. dollars,” said Hong. “That is why it can maintain a power grip on the global economy.” China’s efforts in this direction have made little progress so far, and a state-backed digital currency could help. However, Hong cautioned that would take time. Ecuador became the first nation in the world to issue a government-backed digital currency last year, telling all of the country’s banks to get on board. There have been rumors of “Fedcoin” in the United States and some kind of “Eurocoin” in Europe. Yanis Varoufakis, the former Greek finance minister, proposed a cryptocurrency dubbed Future Tax Coin (FT-Coin). Other countries including the Philippines are studying the possibility of rolling out official digital currencies. According to some Chinese economists, digital money is the future, and China should take the lead. If Chinese authorities choose to push ahead and proceed with the creation and deployment of ChinaCoin, it seems plausible that the impact could be quite disruptive.